In 1940 Glenn Miller and His Orchestra introduced “The Nearness of You” with vocals by Ray Eberle. The Bluebird label recording was a moderate success, appearing on the pop charts at the end of June and remaining there for eleven weeks, peaking at number five. In 1953 the song became a charted hit again; this time Bob Manning, singing with Monty Kelly and His Orchestra, saw his recording climb the charts to number sixteen. ... a screen adaptation of Shakespeare’s A Midsummer Night’s Dream, featuring fifteen-year-old Mickey Rooney as Puck. With [Ned] Washington’s lyric, it became “The Nearness of You,” scheduled for inclusion in the feature Romance in the Rough. The film was never produced and the song had to wait for republication in 1940 to win its place as a standard. In Sudhalter’s notes, of which there are more than 50 pages, he comments that despite accounts to the contrary, “The Nearness of You” was never scheduled to be included in the 1938 Paramount film, Romance in the Dark, starring John Boles, Gladys Swarthout and John Barrymore. Probably a result of the similar titles, Romance in the Rough versus Romance in the Dark,the introduction of “The Nearness of You” is mistakenly credited to Ms. Swarthout in Romance in the Dark in at least one reference book, numerous sheet music books, and as a result, the error appears on hundreds of websites. As if to refute Wilder’s latter comment, Allen Forte, Battell Professor of the Theory of Music at Yale University, devotes over five pages in his book Listening to Classic American Popular Songs to discussion of “The Nearness of You” terming certain aspects of the song “unusual,” “remarkable,” and “striking,” and even offering a “Congratulations, Hoagy!” for Carmichael’s slightly concealed replication of the refrain’s opening phrase in the verse. This section suggests definitive or otherwise significant recordings that will help jazz students get acquainted with “The Nearness of You.” These recordings have been selected from the Jazz History and CD Recommendations sections. Several tender versions of “The Nearness of You” stand out as particularly noteworthy. Sarah Vaughan recorded the tune on several occasions beginning with her classic 1949 performance (The Divine Sarah Vaughan: The Columbia Years 1949-1953). Ella Fitzgerald and Louis Armstrong collaborated in 1956 on an utterly charming version of the tune (Ella and Louis). Among instrumental versions, Gerry Mulligan’s lyrical reading featuring the trumpet of Chet Baker (The Original Quartet With Chet Baker [2-CD SET]) is very significant both musically and historically. Carmichael wrote “The Nearness of You” with a short verse, a 32-bar refrain with an A1-A2-B-A1 form, and a 4-bar extension. Vocalists, including Dorothy Dandridge (Smooth Operator), Abbey Lincoln and Hank Jones (When There Is Love), and Sarah Vaughan (16 Most Requested Songs), often sing the introductory verse. This is a flowing ballad with a well-constructed melody. Intervals are small, for the most part; only three leaps (sixths and seventh) occur in the entire song. Harmonic progression is an interesting variation of I– I7 – IV – iv with the I – VI7 – II – V7 turnaround used to end many tunes. Here it is the primary one used. A v7 (functioning as a ii7 of IV) is inserted before the I7, and the iv is turned into a diminished chord resolving to iii. From there it’s a simple matter of cycling through the fifths (using minor substitutions) in order to return to the tonic. Many contemporary performers use a chromatically descending progression here. For example, in the present key of F major, the traditional changes would be Am –D7 – Gm, whereas contemporary performers might use Am – Ab – Gm instead. Either is acceptable; however, the former reflects Carmichael’s original. Vocalist Sarah Vaughn had a special affinity for this number. Her first recording, in 1949 with Joe Lippman’s Orchestra, is a fabulous rendition of this Hoagy Carmichael tune, including the seldom-heard verse. A few years later Sassy was featured in a Snader “telescription” video performance of this tune. A 1951 concert in St. Louis featured alto saxophone giant Charlie Parker with Woody Herman’s Orchestra, and the event was broadcast and recorded for posterity. There was a mutual admiration society between Parker and the Herman Herd, and the version of “The Nearness of You” is a wonderful exposition on this great song, with an arrangement by Ralph Burns. Startrek: The Next Generation (1988, Jonathan Frakes) Season 1, Episode 16, "11001001"
Startrek: The Next Generation (1992, Jonathan Frakes) Season 5, Episode 114, "Conundrum"
Frasier (1993) NBC sitcom, Season 1, Episode 6, "The Crucible"
Mulligan, in his classic quartet with Chet Baker, displays his lyrical ballad playing style and his influential way of creating full-sounding performances without a chord-playing instrument. This Marsalis recording with a drummer-less trio introduced younger generations to the bass artistry of Milt Hinton, who displays some of his bowing prowess on this lengthy track. Vocalist Lincoln and pianist Hank Jones join together for a breathtaking duet that manages to sound simultaneously world-weary and romantic. The sound of Fitzgerald's gentle singing on this tune alongside Armstrong's brilliant trumpet and the sensitive accompaniment of Oscar Peterson and his group comes mighty close to perfection. Pianist Bill Charlap's delicate version of "The Nearness of You"' is both cerebral and emotional, a testament to his great talent at interpreting the music of Hoagy Carmichael. 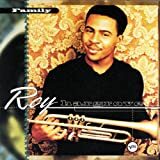 This beautifully realized version of "The Nearness of You"' highlights just how talented trumpeter Roy Hargrove is. His soft, gentle tones make this one of the most heartbreakingly emotional readings of the ballad. Vocalist Nancy King and bassist Glen Moore team up for their third recording, but this time they invite pianist Art Lande, drummer Gary Hobbs, and alto saxophonist Warren Rand to join them. King takes “The Nearness of You” very slowly in duo with Lande. The CD also contains original material with quirky lyrics by Samantha Moore. In the company of pianist Kenny Barron and bassist Eddie Gomez tenor saxophonist Wallace languidly deconstructs and reconstitutes the standards.